The thing about our State Library is that it is so very 19th century. And I do mean that in the nicest way. 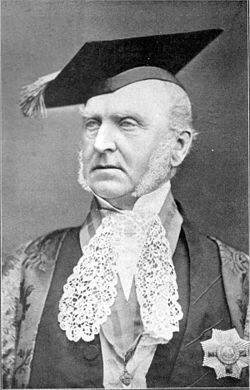 Sir Edmond Barry was instrumental in starting the library in 1854. Although he did have his stern as well as his benevolent side. He was the hanging judge that sentenced poor old Ned Kelly. The bushranger told him in no uncertain terms that he would see the judge "where I go". And Barry dropped dead 12 days after Ned was hung. So whether Kelly was waiting for him in hell we (hopefully) will never know. But ironically these days Ned Kelly is a lot more famous than old Judge Barry. 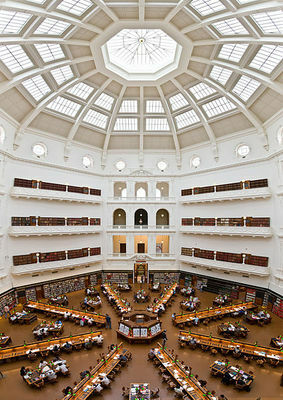 Although Barry's creation, the State Library, lives on as a well loved institution. It is a glorious testament to Victorian times with its multi- columned facade, domed reading room, marble flooring and stained-glass windows. It is in fact recognised as one of the most beautiful libraries in the world. 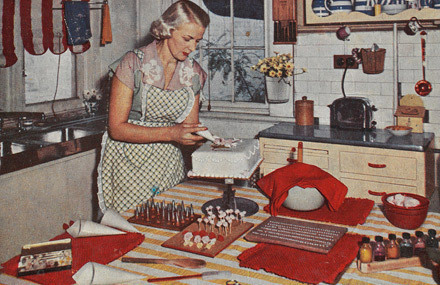 It is now also the place for that Victorian pastime - the genteel, afternoon tea. So it's hats on, gloves off and pinkies up because a series of these high teas are on the social calendar. The high tea consists of the usual pleasantries, beginning with a glass of sparkling wine and leading onto dainty savoury delights and decadent cakes. But it is the setting that makes this event so special. High tea is served in the Red Rotunda, a stunning room with polished timber parquetry floors, high ceilings and plush red painted walls. The Victorians with their sombre ways really knew how to brighten up a room. Looking down at you and your table manners are a number of eminent Victorians. 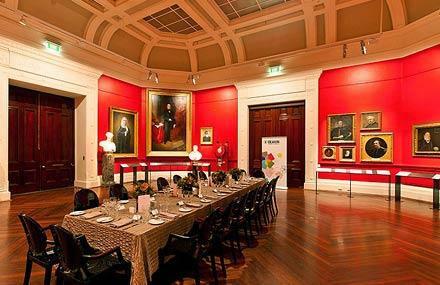 The red walls are offset with the whiter marble busts and stern dark portraits of famous Victorians, including Sir Edmund Barry, William Buckley and Governor La Trobe. Watch your table manners. You are being watched. Afterwards, you can take an afternoon stroll among the gastronomic treasures showcased in the State Library's current exhibition Gusto! A culinary history of Victoria, running from the 3 August 2012 to 28 April 2013. For another of Melbourne's refined venues for high tea click here. Why? Because this is the perfect room for a high tea. Hats on, gloves off and pinkies up... What a wonderful turn of phrase. I can't tell what I desire more, the beautiful surrounds or a delicious high tea. Oh this does appeal in a big way! Sounds fantastic, and such a treat. Thanks so much for posting it. 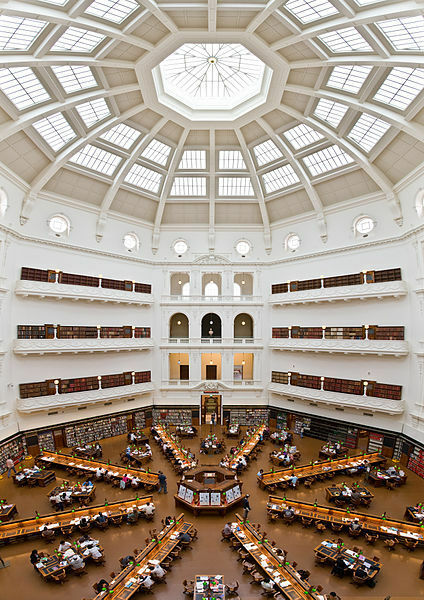 What a great idea, The library is without doubt one of the most magnificent buildings in Melbourne and is under- appreciated. Glad people are finding this idea useful. Where is information about the menu available?